Last week, a new organisation emerged to help studios gain access to the government’s video games tax credits that were finally approved and introduced last year. 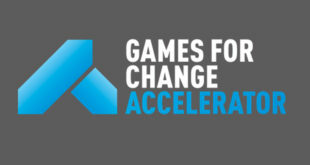 Named The Games Begin, the venture offers early loans to help studios access funds that they would be elligible for earlier than it would normally be transferred. We caught up with Authentic Media CEO Adam Betteridge – who worked as a consultant to help set up and establish The Games Begin’s financing arrangements – to find out more about what developers are actually being offered and how they can use this to fund their games. Why start The Games Begin? With the extension of the tax relief for films to the games industry in 2014, this presented a pretty interesting opportunity for everyone, as the games tax relief allows games companies to claim back 20 per cent of their eligible expenditure, being essentially the majority of their production costs incurred here in the UK or EU. Bearing in mind its become a well trodden path in the film industry for producers to borrow money secured against their tax credit in order to fund the production of their film, we started talking about this to developers and publishers, as well as TIGA and UKIE, who all agreed this kind of thing would be really helpful for the games industry, too. When I met up with Kirsty Bell, MD of The Games Begin, and Partner at Nyman Libson Paul, we immediately realised we had the same vision and that teaming up to create and promote The Games Begin could be a huge success and enable developers to continue doing what they are doing so fantastically well: creating amazing games. How do you help devs secure games tax relief? Why should they use your service when games have already been approved while applying independently? It’s all about timing, and we want to help developers get their hands on cash due to them from their tax relief claim sooner rather than later. There are three main stages to applying for games tax relief, which are fairly straightforward. The first two stages are free and are done by making an application to the BFI, which can be done online via their website. Usually you would firstly apply for an interim certificate before you start production, which basically gives you comfort that the game qualifies for relief. The second stage is to then apply for a final certificate which you will need to make a claim, either once the game is completed or in some situations part way through development. The third stage is to submit the final certificate along with your corporation tax return to HMRC and once they have processed it you should then receive a payment from them. We understand many but not all devs will have their own accountant or financial guru, but for those who don’t or perhaps just want some extra help, we’ve partnered up with an 80-year-old accounting firm called Nyman Libson Paul. They’re a great bunch with lots of experience and can pretty much help devs with any aspect of their accounting or tax matters if you want them too, including their tax relief claim. We want to help developers get their hands on cash due to them from their tax relief claim sooner rather than later. How do you help developers receive money faster? Why is this an advantage? We can help developers by arranging a loan secured against their tax relief claim, by firstly work closely with the developer to establish a few things – such as the value of their tax relief claim – and then once all the due diligence boxes are ticked and we’ve agreed a loan amount we can then proceed to offer you a loan. The advantage is that you can have the cash due to you from the games tax credit to support your business objectives right now, rather than having to wait till sometime after you have submitted your claim to HMRC which can take them a while to process – sometimes months. What must developers be aware of when receiving these funds? How should they use these funds responsibly? Like any loan, developers need to be aware that they will need to pay the money back at some point. Where possible, we try to work with each developer to make sure they do not borrow more than they should. We don’t look over your shoulder to tell you how to spend the funds, but if you were looking for some guidance we’d suggest they would ideally be used to help fund the development of any games you’re working on. What is the arrangement for paying back these loans? Is there interest or anything developers have to be aware of? One of the main boxes that need to be ticked is agreeing an interest rate, arrangement fee and appropriate share of costs, which can then be deducted from the loan on drawdown so you are not left out of pocket. Once you’ve received the funds in your bank account, we would usually suggest for it to be paid back anytime between say six months to 12 months later. What other financial advice/support do you offer? Why is this important to devs? This is one of the most interesting aspects of what we are looking to achieve here, as alongside our mentioned partnering with NLP, we’ve also partnered up with Goldfinch Entertainment whom since 2014 has raised over £22m for various creative industry projects. In a way offering a loan is therefore just a calling card, kind of like a way of saying hello and getting to know each other better. as what we are also hoping to do is establish relationships with as many developers as possible here so that we can help them wherever possible achieve their fundraising goals – whether it be through SEIS, EIS or some other method. Offering a loan to games developers is just a calling card, kind of like a way of saying hello and getting to know each other better. What do developers need before they can apply? What are you looking for/expecting? There are a few main options to have a think about first. Developers can apply to draw a loan secured against their tax relief claim on the one hand based on previous existing expenditure, or on the other hand based on their future projected expenditure, or possibly even a combination of both. To help speed up the due diligence process, if you are looking for the former then make sure you have requested the relevant information verifying this from your accountant. If you are looking for the latter then ideally developers would need to have an understanding of their finance objectives over the relevant period. Where can developers find out more? How do they apply? How long do applications typically take to be processed? We do aim to turn things around as quickly as we can, but as you can imagine the length of time it takes to typically process an application can vary depending on a few things, such as complexity or length of time it takes to source the relevant information needed to complete the due diligence. Saying that, in a recent case it took around two weeks from start to finish.